The UKs biggest food celebration is coming to Newcastle upon Tyne for the first time ever and you can be a part of all the action. 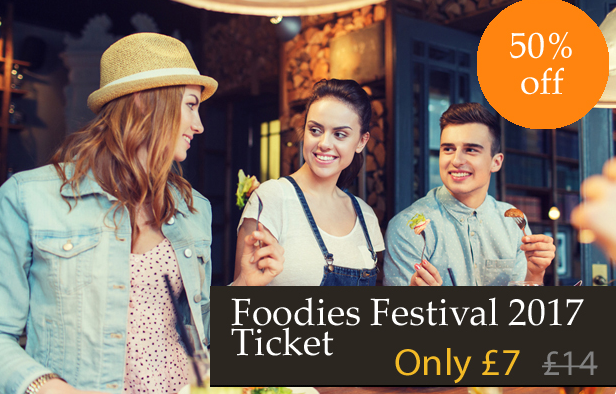 As it is the first time in Newcastle let us explain what is happening, on June 2nd, 3rd and 4th the Foodies Festival is bringing the biggest and brightest names in food to our doorstep. The event is a first time in Newcastle for some of the top UK chiefs including top Michelin chefs and MasterChef winners cooking their favourite recipes all whilst giving you the tips to create them yourselves. If you have more of a sweet tooth why not learn how to make perfect bake off winning cakes and treats from Great British Bake-off winner Candice Brown! Not only that but the event features over 100 producers to shop and sample from including the artisan food market, signature dishes from top restaurants and street food from all over the world, you will be spoilt for choice with so much new and top quality food to choose from, we wouldn’t be surprised if you couldn’t fit it all into one day. It’s not just food too, join in with champagne, wine, beer and cocktail masterclasses. With live music and an all-round fun day it provides the perfect setting with friends, family, your partner or anyone else.